Cut and join MP3 files. Is there a better alternative to Free MP3 Cutter Joiner? Is Free MP3 Cutter Joiner really the best app in MP3 category? Will Free MP3 Cutter Joiner work good on macOS 10.13.4? 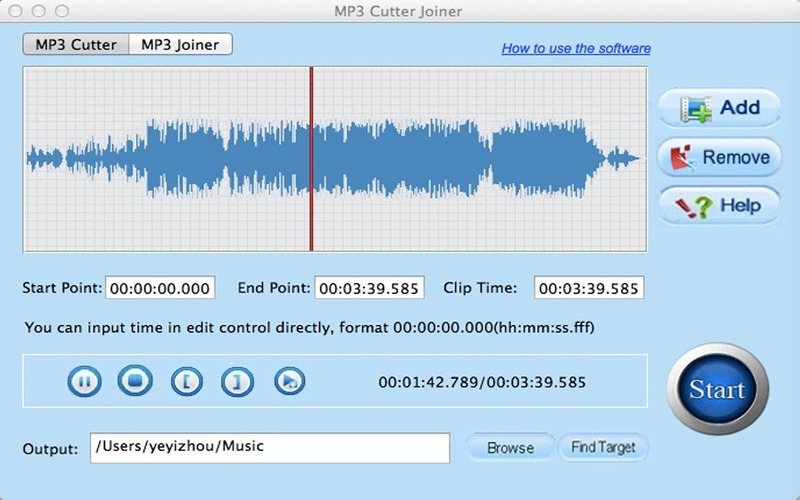 Free MP3 Cutter Joiner is an easy way to cut big audio files. Free MP3 Cutter Joiner enables you to merge multiple files or parts of multiple files into one big file and cut/join MP3's without losing quality. You can preview files that you've cut and accuracy of cutting is to within one millisecond - ideal for making your own mobile ringtones. Version 4.0: Release notes were unavailable when this listing was updated. Free MP3 Cutter Joiner needs a rating. Be the first to rate this app and get the discussion started!